Our final shoutout for this season goes out to our AMAZING community partners! 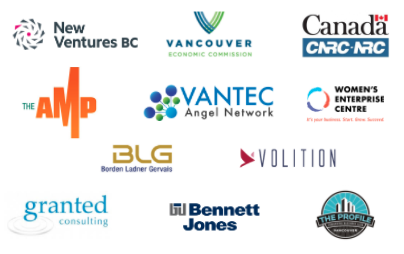 Spring is thrilled to have an incredible list of community partners that come along side our entrepreneurs in support of their growth. Futurpreneur, NRC, and Women’s Enterprise Centre bring funding and a wealth of support to entrepreneurs. Borden Ladner Gervais is a great legal partner who is pioneering with the Driven by Women initiative. Volition is able to provide a broad base of support and runs their fantastic Pitch Nights. Bennett Jones brings thought leadership and mentoring. With a diverse range of expertise, our partners helped us support our now 600+ strong entrepreneur communities to new heights in 2017. Thank you all!